Even though it was only a year ago, this qualifies as a Throwback Thursday, right? The photo at left is me chugging down Main Street, U.S.A. before dawn at last year's Disneyland 5K. A week from tomorrow I'll be doing it again. Plus, I'm adding the Disneyland 10K on Saturday. I draw the line at the half marathon, though. Oh, hell no. Not yet. My attitude towards running has changed a bit since I laced up my Skechers for my first RunDisney event. I take running a little more seriously these days and I've actually done something that resembles training over the last seven weeks. I'm going to run events on consecutive days for the first time ever on Labor Day weekend and I've set a personal goal for the 10K. I intend to finish it in under one hour. And yes, I'm still having fun. I won't just be running next week. 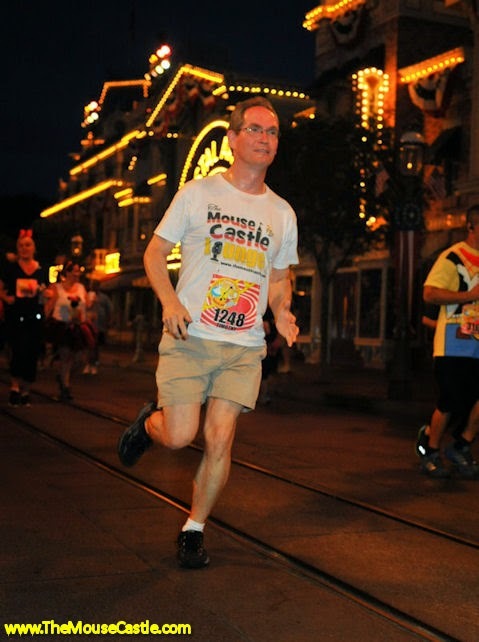 I'll also be covering the Disneyland Half Marathon Weekend for The Mouse Castle. I'll record my part of Friday's Inside the Mouse Castle with Anthony post-5K at the Disneyland Resort, and during the week I'll be talking to runners and RunDisney staff for a special edition of The Mouse Castle Lounge. And how about you? 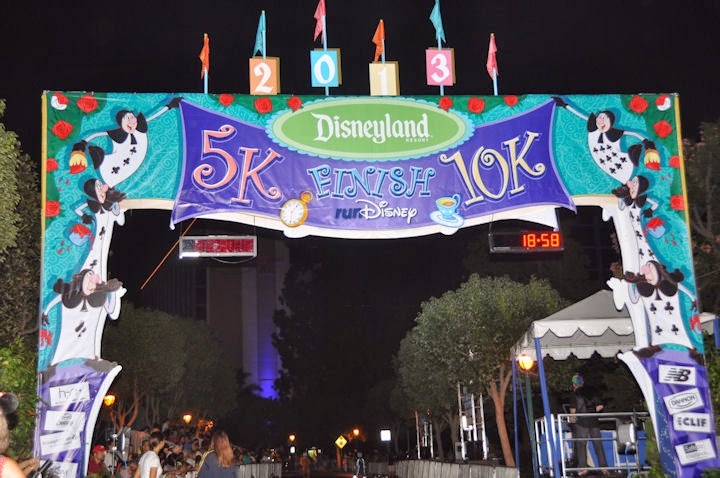 Are you taking part in the Disneyland Half Marathon Weekend? Have you participated in other RunDisney events? How many tutus do you own? Please share your comments below. Hope to see you at the races Labor Day weekend! The finish line for last year's Disneyland 5K and 10K. For more info about the Disneyland Half Marathon Weekend, visit http://www.rundisney.com/disneyland-half-marathon.